The following mint errors sold in the January 9-14, 2019 FUN US Coins Signature Auction #1291. 1943 CENT Struck on a Bronze Planchet AU53 NGC. Ex: Don Lutes, Jr. Discovery Specimen. 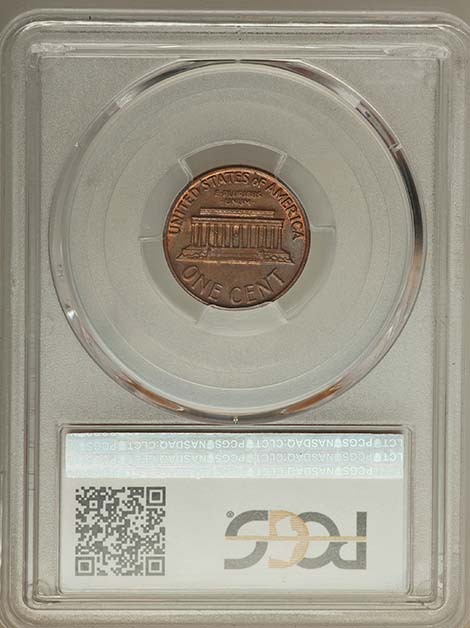 The 1943 bronze Lincoln cent is the most famous error coin in American numismatics. 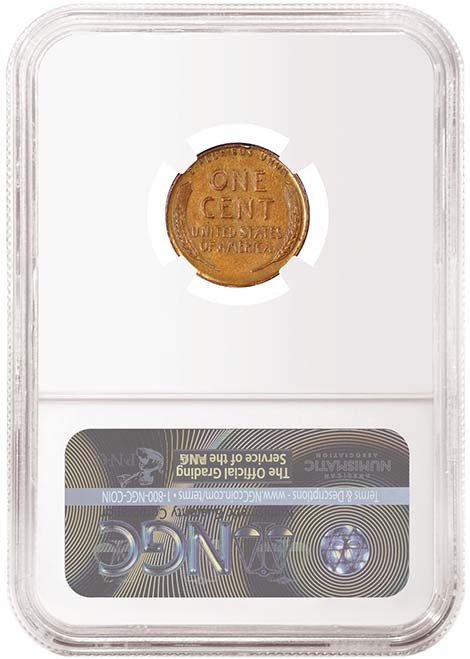 In fact, the appeal of the 1943 "copper" cent far transcends traditional numismatics, as the issue has captured the imagination of coin collectors, school children, and members of the general public alike. Despite relentless searching by eager collectors over a period of more than 70 years, only a handful of legitimate specimens have ever been discovered. PCGS CoinFacts estimates the surviving population at no more than 10-15 examples in all grades. We have compiled a roster of all specimens certified by the two leading grading services below, including an unknown number of resubmissions and crossovers. Heritage Auctions is pleased to offer the discovery specimen of this historic issue in its first auction appearance. Copper was a strategic metal in 1943 and a major component used in the manufacture of shell casings, telephone wire, and other wartime necessities. 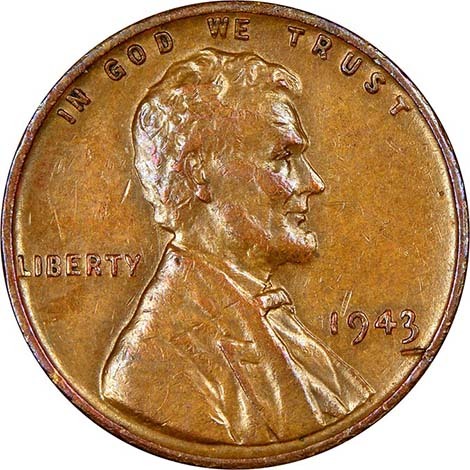 To conserve this important resource, the Treasury Department authorized the U.S. Mint to strike all 1943 Lincoln cents on zinc-coated steel planchets, rather than the familiar "copper" blanks of previous years. The white-colored "steelies" were produced in large numbers and were often seen in circulation until collectors culled out the survivors in the collecting boom of the 1950s and ‘60s. However, rumors of extremely rare 1943 "copper pennies" began to circulate almost as soon as the wartime issues were released. It was reported (falsely) that Henry Ford would give a new car to anyone who could provide him with a 1943 "copper" cent, setting off a nationwide search for these reported rarities by school children, bank tellers, and citizens from all walks of life. Stories appeared in newspapers, comic books, and magazines and a number of fake copper-plated steel cents were passed off as fabulous rarities to unsuspecting purchasers. Despite the mounting number of reported finds, the Mint steadfastly denied any copper specimens had been struck in 1943. The truth would surface many years later, long after legitimate specimens had become well-known in the numismatic community. It seems that a small number of bronze planchets was caught in the trap doors of the mobile tote bins used to feed blanks into the Mint's coin presses at the end of 1942. These few planchets went unnoticed when the bins were refilled with zinc-coated steel planchets in 1943. They eventually became dislodged and were fed into the coin press, along with the wartime steel blanks. The few resulting "copper" cents were lost in the flood of millions of "steel" cents struck in 1943 and escaped detection by the Mint's quality control measures. They quietly slipped into circulation, to amaze collectors and confound Mint officials for years to come. Examples of 1943 bronze cents are known from all three active U.S. Mints today, with 10-15 examples known from the Philadelphia Mint, a half dozen specimens confirmed from the San Francisco facility, and a single coin from the Denver Mint. Aside from the bronze cents that were produced accidentally in 1943, research by Roger W. Burdette has revealed that the Mint struck a limited number of experimental cents in various compositions using the normal cent dies in 1943. Some of these experimental pieces are easily mistaken for the bronze cent errors, despite slight differences in color and striking characteristics. 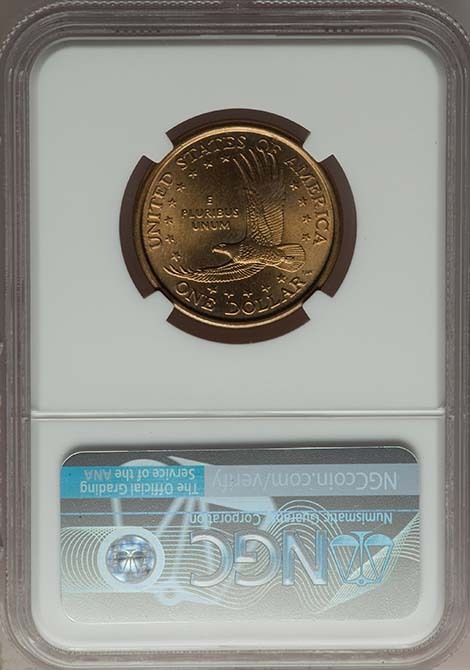 A particularly interesting MS63 Red PCGS example, with a composition of 91.7% copper, 7.5% zinc, and 0.8% silver, is currently on display at the Edward C. Rochette Money Museum in Colorado Springs. Sixteen-year-old high school student Don Lutes, Jr., of Pittsfield, Massachusetts, discovered this coin in change he received from his school cafeteria in March 1947. 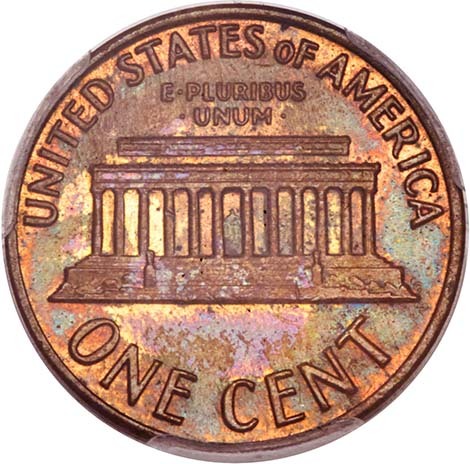 Lutes was old enough to remember the "steel" cents struck in 1943, which were still commonly seen in circulation at the time, so this copper-colored example aroused his curiosity. As a coin collector, he set the coin aside for future study, but did not publicize his find until years later. At that point, Lutes gave up on marketing his coin and decided to just keep it for his collection. Meanwhile, other specimens of the rare off-metal error began turning up. Conrad Ottelin, a physician from Cleveland, Ohio, wrote a letter to The Numismatist in June of 1947, reporting that his son had found another 1943 bronze cent while going through his wife's change. Nothing further was heard about Ottelin's coin, but a third example surfaced 10 years later in the hands of 14-year-old California collector Marvin Beyer. Beyer's father contacted prominent dealer Abe Kosoff about the coin, had it tested for authenticity, and offered it in Kosoff's 1958 ANA Convention Auction. Although the coin was withdrawn from the sale, the offering was widely publicized and focused collector attention on the issue in a big way. The 1943 bronze cent was reportedly sold privately for $40,000, a staggering price at the time. The news about Beyer's coin renewed Don Lutes' interest in his 1943 bronze cent. He attended the NENA convention in Worcester, Massachusetts in October of 1958 to show the coin to Walter Breen for authentication. Breen pronounced the coin genuine, but expressed doubt about the reported $40,000 sale of the Beyer specimen, which he believed was grossly exaggerated. Breen arranged to exhibit this coin at National Coin Week and the Central States Numismatic Association convention, and discussed it on an ABC radio program, Big Joe's Happiness Exchange, in 1959. Although the coin was reportedly offered for $10,000 at the time, Don Lutes retained ownership of this piece through all the intervening years, down to the present day. 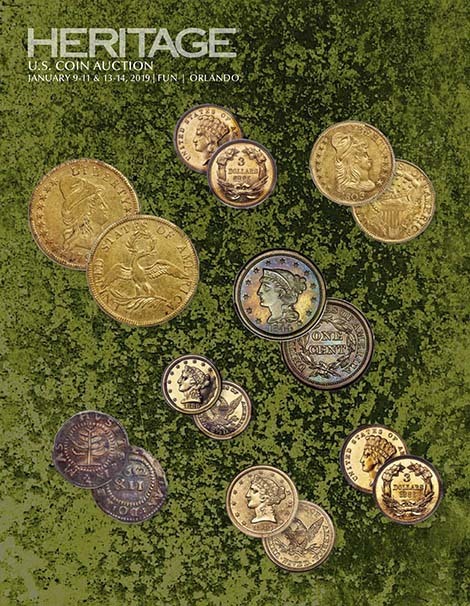 The Lutes specimen has been featured in articles in all the major numismatic periodicals over the years. It is documented as the discovery coin in series references like David Lange's Complete Guide to Lincoln Cents and the Authoritative Reference on Lincoln Cents, by John Wexler and Kevin Flynn. Through the good offices of his friend, coin dealer Peter Karpenski, Don Lutes has finally decided to offer his iconic 1943 bronze cent in Heritage Auctions' January 2019 FUN Signature auction. A small packet of research materials, provided by Karpenski, including copies of articles in the Flying Eaglet, Coin World, and the Numismatic Scrapbook Magazine, and a copy of a postcard from Walter Breen accompanies the lot. The present coin is a lightly circulated olive-brown specimen, with hints of steel and copper-red patina in selected areas. The zinc-coated steel planchets used in 1943 were considerably harder than the bronze planchets used in earlier years. To make sure the design elements were fully brought up, the striking pressure on the coin presses was significantly increased for cent production in 1943. 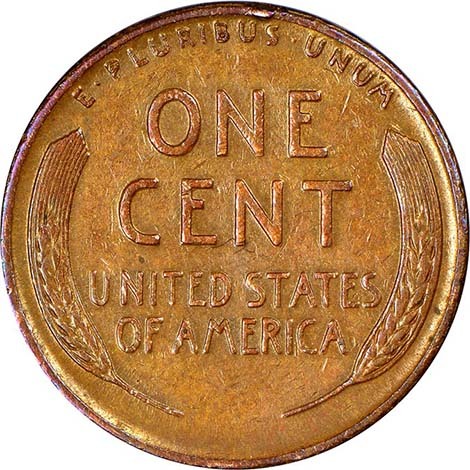 As a result, almost all examples of the 1943 bronze cent exhibit sharp striking characteristics. Like most examples seen, the design elements of this coin were strongly impressed, and only a trace of wear shows on the cheek and jaw, and the wheat strands in the wreath. The completely original surfaces are lightly abraded, aside from a short horizontal gouge below the 3 and a slanting mark at the top of the 1 in the date. The bust is glossy and a few subtle hints of original mint luster remain intact in selected areas. The overall presentation is most appealing. The coin offered here is the discovery specimen of one of the most famous issues in all of American numismatics. It has remained in the possession of Don Lutes, Jr. since he noticed it in change received from his school cafeteria in 1947. While a number of other examples have surfaced over the years, no other specimen has been celebrated and written about as much as this remarkable coin. This piece inspires a special pride of ownership not equaled by any other example. This lot represents a true "once in a lifetime" opportunity. Prospective bidders should bid accordingly. The 1943 bronze cent is listed among both the 100 Greatest U.S. Coins and the 100 Greatest U.S. Error Coins. 1943 Philadelphia Bronze Cents Certified Populations This is a listing of the certified grading events at PCGS and NGC. Duplications and crossovers are likely; some Genuine examples may be omitted. 1. MS62 Brown. Found in circulation by Marvin Beyer, Jr., age 14, around 1957; ANA Convention Sale (Abe Kosoff, 1958), where the coin was withdrawn by Marvin Beyer Sr. before the sale; reportedly sold to the Greer Company of Los Angeles for $40,000 in 1959; Pre-Long Beach Sale (Superior, 10/2000), lot 4146, as MS61 ANACS, $60,375; Benson Collection, Part II (Goldbergs, 2/2003), lot 148 as MS61 Brown PCGS, $97,750 (certification #50035361); subsequently graded MS62 Brown PCGS Secure; Bob Simpson (9/2012); Simpson Collection. Beautiful blue-brown surfaces with generous luster, softly struck on Lincoln's beard and coat. Certification #18523486. Pictured on PCGS CoinFacts. 2. MS61 Red and Brown. "James Schirrippa," per PCGS CoinFacts. 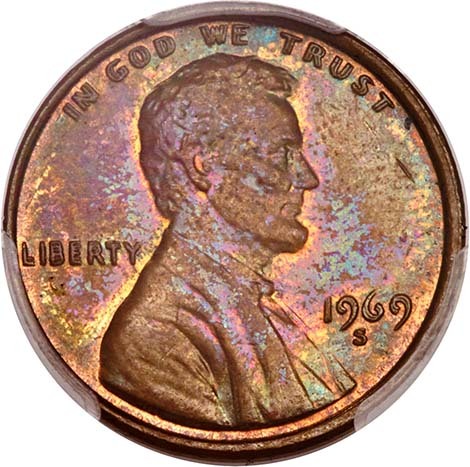 Sharply struck with deep orange and purple-blue patina and some brownish toning on the lower reverse, hints of green in the obverse field. Carbon spot at L(IBERTY). V-shaped mark right of C(ENT). In the Staten Island Collection Lincoln Cents, Off-Metal Strikes Registry Set (#2 behind the Simpson Collection). Certification #50040291. Pictured on PCGS CoinFacts. 3, 4. MS61 Brown. Two submissions; one is certification #19228068, last seen in the High Desert Collection. Pictured on PCGS CoinFacts. Lovely orange-gold and light-blue surfaces on both sides. PCGS still shows two in this grade, although as mentioned, one with certification #50035361 was later upgraded to the #1 Beyer-Simpson coin above. It is unclear if there are still two other PCGS coins in the MS61 Brown grade. 5. AU58. According to a photo (page 322, #8) in the 1996 Wexler-Flynn Lincoln cent Authoritative Reference, this coin was earlier certified by ANAAB with certificate #FD0251. Bob Simpson; FUN Signature (Heritage, 1/2016), lot 5266, realized $305,500. PCGS certification #25510132. Pictured on PCGS CoinFacts. 6. AU55. Americana Sale (Stack's Bowers, 1/2013), lot 13257, brought $317,250; Regency Auction (Legend-Morphy, 5/2014), lot 12, realized $329,000. Currently in the Numism1 Set Registry inventory at PCGS and contained in the Hoiner 100 Greatest U.S. Coins Registry Set. Well-struck overall with medium milk-chocolate surfaces, small flecks at the bottom of the coat (below 1) and front of Lincoln's head above the eyebrow. Weakness shows on O(NE) and AM(ERICA). Certification #26441689. Pictured on PCGS CoinFacts. 7. AU50. Sandy-tan example with a few scattered marks. Softly struck on 43 in the date. Photo on PCGS CoinFacts. Certification #22052180. 8. XF45 PQ. CAC. Pre-Long Beach Sale (Goldberg Auctions, 2/2017), lot 756. Not identified by certification number. 9. Genuine PCGS (VF Details). A "teenaged newspaperboy"; bought at a Dearborn, Michigan, coin show around 1987; Goldberg Auctions (9/2007), lot 2462, brought $60,375. PCGS #21445581, no longer listed. Some unfortunate test cuts were made on the surfaces. Photographed as #4 in the Wexler-Flynn reference. These grading events will undoubtedly duplicate some coins listed above. 11. MS62 Brown. Albert Michael Pratt; ANA Signature (Heritage, 8/2017), lot 3899. Certification #2067200-002. An attractive walnut-brown specimen with a tick over the 4 in the date. 12. MS61 Red and Brown. 13. MS61 Brown. Albert Michael Pratt; FUN Signature (Heritage, 1/2018), lot 4763. Certification #2067200-001. Reddish-brown and steel patina, with a large obverse die break on the rim at 6 o'clock. 14, 15, 16. AU58; three grading events. 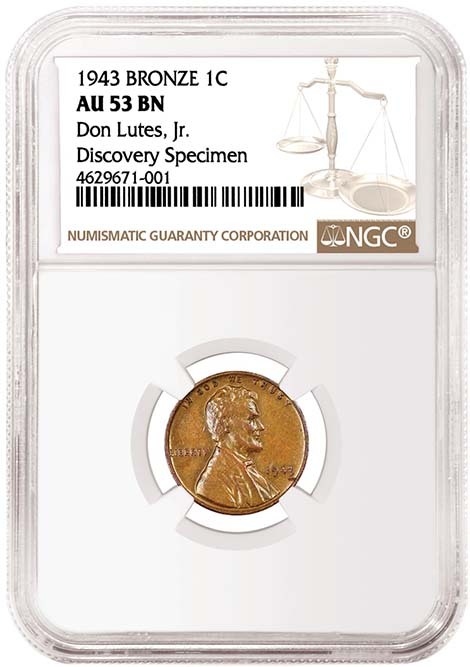 One coin was once depicted on NGC Coin Explorer, unidentified as to grade or certification number -- but it is the former Simpson coin, number 5 above, now in a PCGS holder. 18. AU53. Discovered in a school cafeteria in 1947 by Don Lutes, Jr. Certification #4629671-001. Pictured on NGC Coin Explorer. Lightly worn olive-brown example with a short horizontal gouge below the 3 in the date. The present coin, offered by the consignor, with the assistance of Peter Karpenski. 19, 20. AU50; two submissions. 2000-P $1 Sacagawea Dollar/Washington Statehood Quarter Mule MS67 NGC. Die Pair #1. A newly discovered, 18th example of the 2000-P Sacagawea dollar/Washington statehood quarter mule. 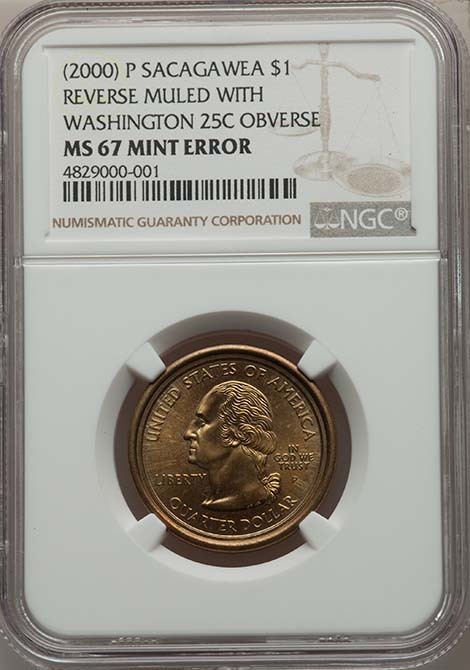 This is the Holy Grail of U.S. Mint errors. The first discovery was made in May 2000, by Frank Wallis, of Mountain Home, Arkansas, in a roll of ordinary Sacagawea dollars. At the time, the concept of a Mint-made mule -- a coin struck with mismatched dies -- was foreign to many collectors, as such an error coin was either not known or not widely publicized. That changed with Wallis's discovery. Even more spectacular than the discovery of a coin with mismatched dies, was the fact that the dies were for two different denominations. 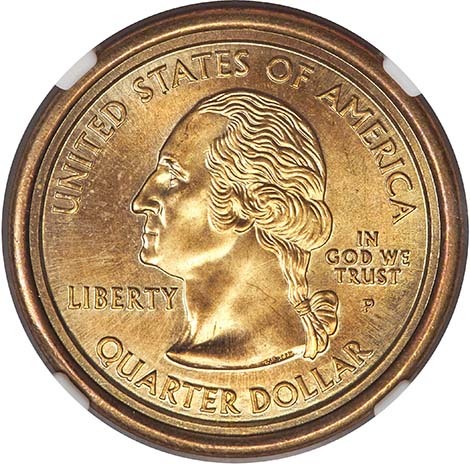 "The Washington quarter obverse die, according to the story, was duly installed into the coining press and mated with a Sacagawea dollar reverse die along with the proper (plain-edge) dollar collar. At some point this error was discovered. The Mint source supposed that three tote bins of finished Sacagawea dollars were destroyed -- the bin that produced the mule strikes and the bins on either side of that press (in case an errant coin or two had been tossed into the wrong bin)." Any effort to destroy all of the errors failed, as several pieces escaped into public hands. Given how some of the coins were later discovered -- in bank rolls and change -- it appears that their release was at least partially through standard distribution channels. "The U.S. Mint goes to great lengths to avoid making mistakes when it manufactures coins. In fact, in its 208-year history, coin errors are a rare occurrence, but occasionally, misstrikes happen. ... Of the 29 billion coins we're producing this year, at least one billion Golden Dollars will be struck. As of today, there have been four confirmed error Golden Dollar coins found. Recently, there were unconfirmed reports that another 15 were discovered. To put this in perspective, if 19 error coins have been found, based on production figures, that means there is a 0.0000019 percent chance that an error Golden Dollar has been produced this year." As late as 2010 -- a decade after the initial discovery -- only 10 different examples of the error had been documented. Additional finds have occurred since then, although the infrequency with which new pieces have been brought forward cannot even be called a trickle -- what has been a glacially slow increase in the mule's known population over the past eight years has been vastly outpaced by growth in collector demand for this intriguing rarity. Fred Weinberg, coauthor of 100 Greatest U.S. Error Coins, records just 17 distinct examples of the Sacagawea dollar/Washington quarter mule, and they are struck from three different die pairs: Die Pair #1, the variety of the discovery coin, has a distinctive die crack at the F in OF; Die Pair #2 has three die cracks along and below the bottom edge of the eagle's lower wing; Die Pair #3 has a perfect reverse with a small die gouge on the obverse in front of Washington's lips. The existence of three die pairs suggests that the Mint's blunder was either not isolated to one press operator and one die swap, or Mint employees intentionally recreated the fantastic error with different dies after the initial discovery was made public. The legality of owning examples from any die pair has never been challenged. MS66 PCGS. Die Pair #1. Philadelphia ANA (Bowers and Merena, 8/2000), lot 148, realized $29,900. The "Discovery" coin. MS67 NGC. Die Pair #2. Sold on eBay by Delaware Valley Rare Coin Co., Bromall Pennsylvania, for $41,395; Long Beach Signature (Heritage, 6/2001), lot 6737, realized $56,350. MS66 NGC. Die Pair #2. Philadelphia Signature (Heritage, 8/2000), lot 6452, realized $31,050. MS67 NGC. Die Pair #1. Philadelphia ANA (Stack's Bowers, 8/2012), lot 11642, realized $158,625. MS66 PCGS. Die Pair #1. FUN Signature (Heritage, 1/2013), lot 5756, realized $88,125. MS67 NGC. Die Pair #1. Baltimore Auction (Stack's Bowers, 3/2018), lot 2382, realized $192,000. "For its rarity and influence, this is among the most important of the 100 Greatest U.S. Modern Coins. The coin is distinctly modern, as it combines the new-composition Sacagawea dollar and the obverse of the statehood quarter, two highly important, seminal coin series of the new millennium. Its first sale established eBay as a legitimate marketplace for coins in the eyes of many dealers. And, of course, it is among the most valuable of all modern U.S. coins and U.S. error coins of any era." 1969-S 1C Doubled Die Obverse, FS-101, MS63 Brown PCGS Secure. CAC. Centered on the front cover of Scott Schechter and Jeff Garrett's 100 Greatest U.S. Modern Coins is the 1969-S Doubled Die Obverse cent, undoubtedly the most famous modern circulating error struck over the past 60 years. Appropriately, it takes first place in their reference. 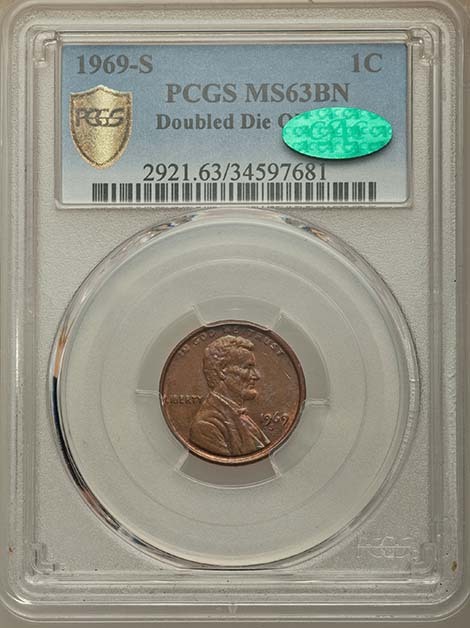 The variety is one of the most dramatic doubled dies in American numismatics, challenging the 1955 DDO Lincoln cent. 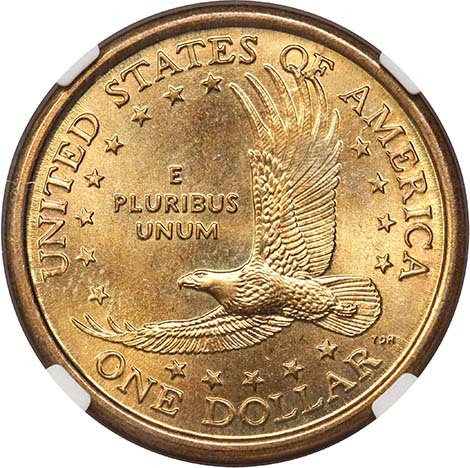 It displays strong separation between all the letters and digits on the obverse, perhaps most notably on LIBERTY and IN GOD WE TRUST, although the date is nearly as bold. Schechter and Garrett explain that when the 1969-S Doubled Die Obverse cent was first discovered in mid-1970, "the U.S. Secret Service declared it a counterfeit, and even seized the first of these coins that were discovered." Soon after, the variety was recognized for the genuine Mint rarity that it was. The 1969-S is likely the greatest target for coin roll hunters. Unfortunately, the issue is also known for the number of coins that exhibit essentially worthless but often visually deceiving strike doubling. There have been remarkably few actual discoveries of the 1969-S DDO. It is believed 30 to 50 pieces are known. Many of them have been found in circulation, while others have turned up in rolls. Nevertheless, the variety is a major rarity in MS63 Brown, and few exist with any degree of original Red color.